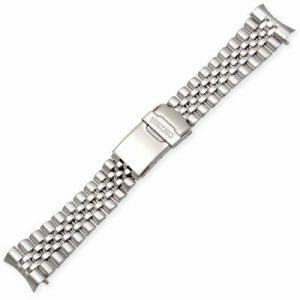 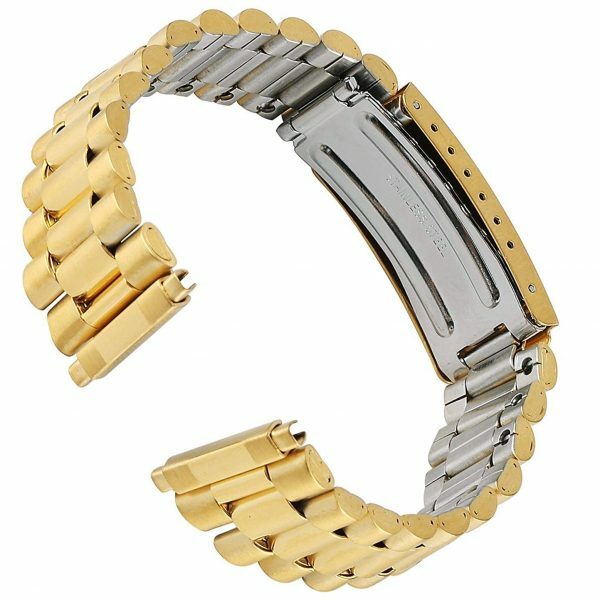 This Oyster style link watch band is made of stainless steel and is a two-tone bracelet designed to fit casual and dress watches. 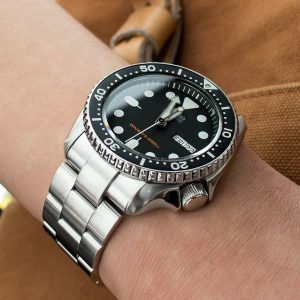 It can be worn on any brand watch with 16mm-21mm distance between the lugs. 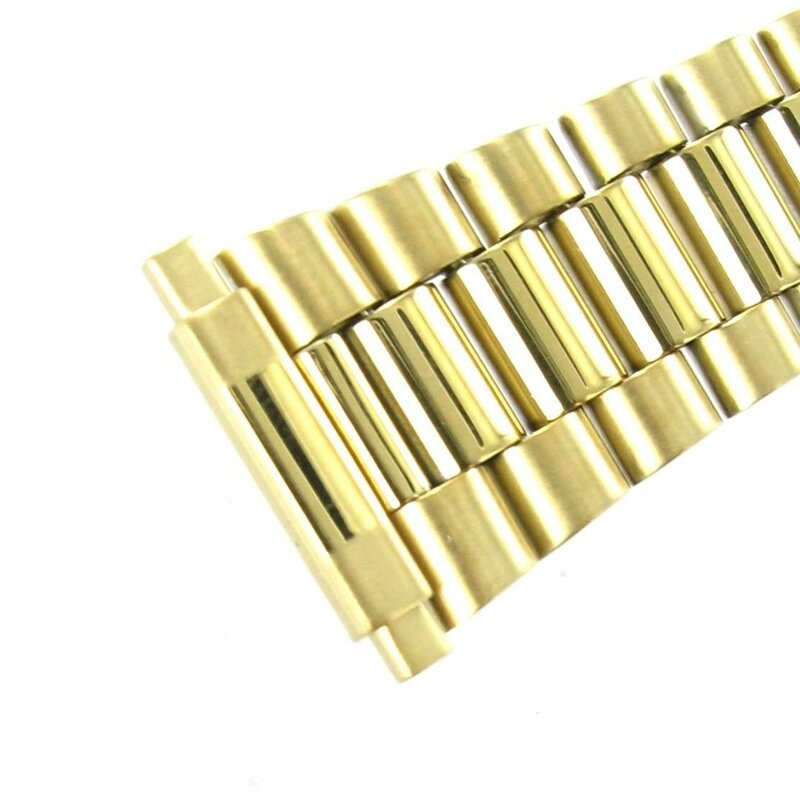 The link style is uniform with bright and brushed two-tone color that make the band stand out. 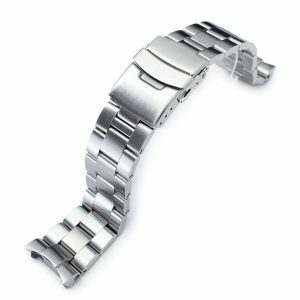 This men’s watch band features a watch band clasp called a âTri-Fold clasp’, which gives you quick release and removal of the band. The watch band has straight end pieces and a tapered width design. 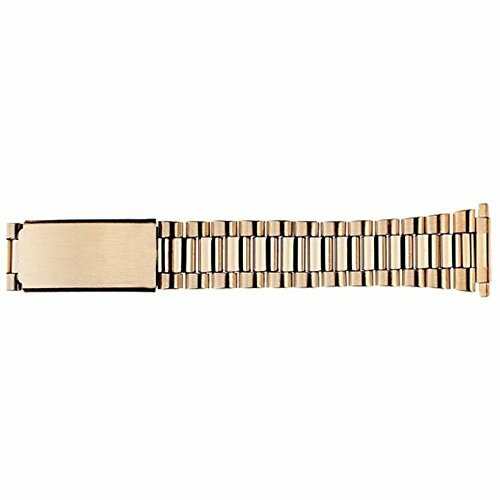 The length of this watch band is 7′ inches. 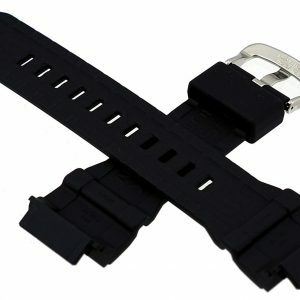 The clasp and the watch links can easily be removed or adjusted to fit your wrist. 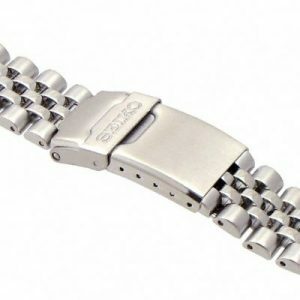 It has quality construction with re-enforced link pins, durable stainless steel, and two-tone finish to last years. 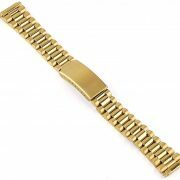 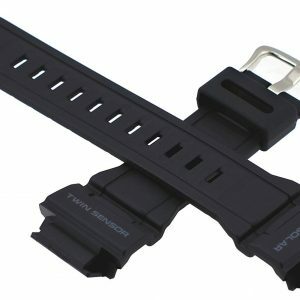 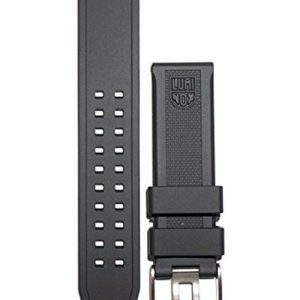 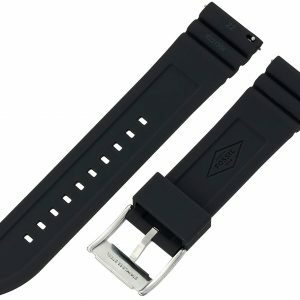 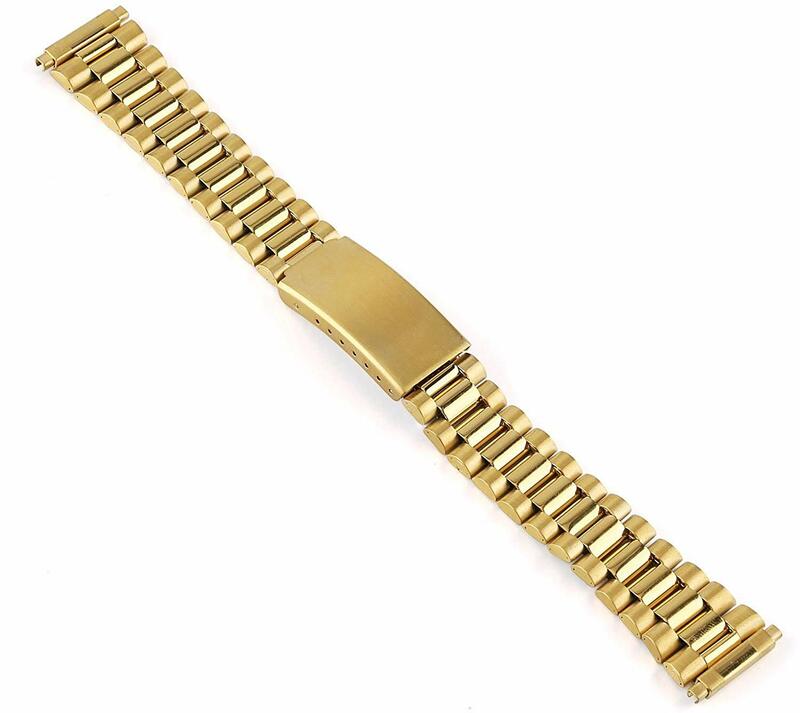 The offer contains 16-22mm Mens Classic Watchband Replacement as well as the products of the very famous manufacturers (the identified leader industry leaders and also lesser known manufacturers) encouraging the shoppers with certainly not less qualitative products with a reasonable selling price. You just have to choose the best design with shipping and delivery across the US and around the planet. 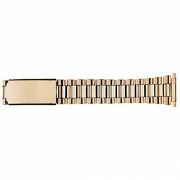 In our go shopping you can easily pick and buy the standard 16-22mm Mens Classic Watchband Replacement on-line!